Monday through Wednesday of this week (December 4-6) I joined 51 other mayors from ten countries (mostly Canada, Mexico and US) at the North American Climate Summit in Chicago, hosted by Mayor Rahm Emanuel of Chicago, Mayor Anne Hidalgo of Paris and Vice-chair of the Global Covenant of Mayors for Climate and Energy Christiana Figueres. 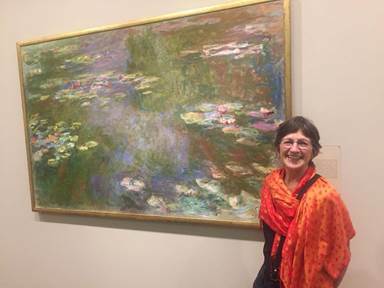 We started with a get acquainted dinner after riding an electric bus to the Art Institute of Chicago where Mayor Emanuel had to show off by making us walk through endless galleries of the world’s most famous impressionist paintings by Manet, Monet, Degas, Renoir and others to reach the dining room. 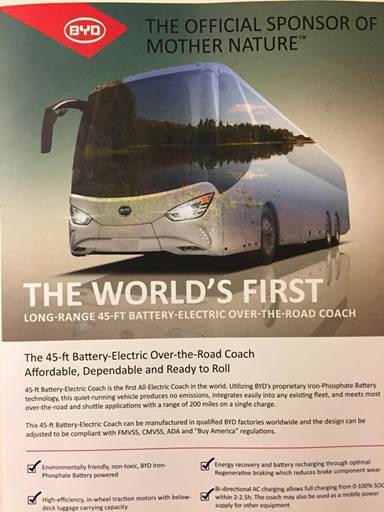 Figure 1- Our shuttle to dinner, an all-electric bus from BYD headquartered in Burlingame. Why don’t we have these in the Bay Area? 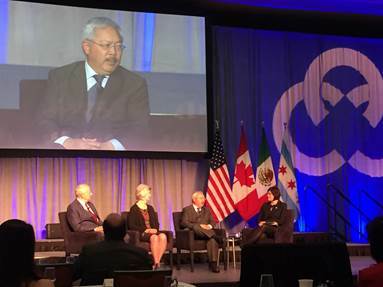 Monday began with panel discussions from experts on climate action and some mayors, including mayor Ed Lee from San Francisco. 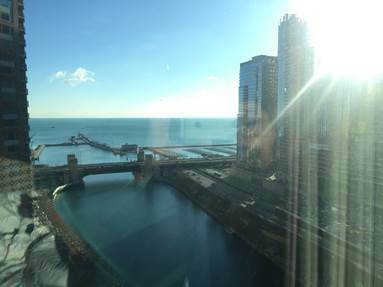 Later Tuesday morning, the mayors convened to sign the Chicago Climate Charter (Download a copy of the Chicago Climate Charter here.) See https://www.youtube.com/watch?v=ivvapuqncRM for a video of me signing the Charter. 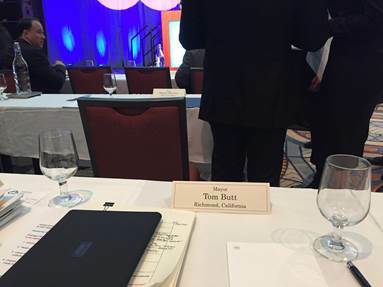 In the afternoon, we attended breakout sessions, mine being energy, where I had an opportunity to talk about CCAs in California and MCE. Figure 8 - President Obama said that fighting climate change "should be an obsession with us." 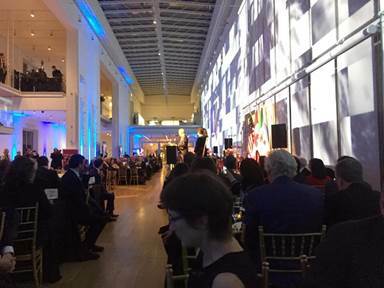 Tuesday concluded with a mayors and spouses dinner were we had an opportunity to get to know other mayors dedicated to implementing the Paris agreement and brag about projects we are doing in our respective cities. The former president’s Chicago appearance also gave a boost to his former chief of staff as Emanuel ramps up to run for a third term as mayor. Obama was in town for a private speech later in the day and talked to mayors in attendance at the downtown climate event for about 15 minutes. Though Trump’s pulling the U.S. out of the Paris climate agreement prompted mayors to take steps to limit greenhouse emissions themselves, Obama stepped around criticizing Trump directly. Instead, the former president tried to show a path toward fighting climate change without Trump’s cooperation. Reciting a litany of recent extreme weather events he said are evidence of climate change, Obama also mentioned the aftermath of Hurricane Maria’s devastation of Puerto Rico, a recovery effort for which the Trump administration has drawn criticism. “A conveyor belt of some of the strongest hurricanes on record this summer smashed into Houston, and Florida and Puerto Rico, and more than two months later they are still struggling to recover,” he said. And Obama called on American voters to “make it a prerequisite for the vote for anybody for elected office that they’re paying attention” to global warning. His remarks Tuesday are in keeping with Obama’s general policy of not engaging directly with Trump since the new administration took over in Washington, D.C. 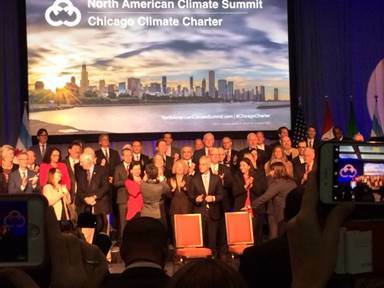 While Obama stuck to talk about the environment, Emanuel placed Trump front and center at the event by pointing out he has opted the U.S. out of the Paris climate accords. “We can’t afford, as leaders of our respective cities, the absence of leadership and the wrongheaded policy by President Trump. Can’t afford it,” the mayor said. His support has been important to Emanuel’s political fortunes in the past. As president, Obama held a high-profile send-off in the White House for Emanuel as he left the administration in 2010 to come run for mayor for the first time. Video clips of Obama praising Emanuel at the event later turned up in an Emanuel campaign ad. Obama came to Chicago to support Emanuel again during the mayor’s 2015 re-election campaign, and a clip from that event formed the basis of a TV commercial Emanuel ran in the days before the vote. Emanuel went all in on the pomp and circumstance at the Tuesday event even before Obama arrived. Participating mayors from suburban Hanover Park and Franklin Park, and those from Paris, Mexico City, Honolulu and other U.S. and world cities, were invited up on stage to add their signatures to the charter as their colleagues applauded. 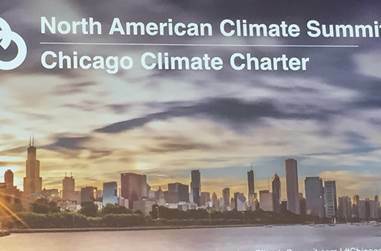 While the Chicago charter calls on participating cities to set their own standards to reduce emissions, it’s not clear whether such local action will be able to offset federal shortcomings or how local governments will be held to their commitments. The climate meeting was just the latest opportunity Emanuel has taken to dog Trump. He hosted a water cleanliness meeting with mayors from around the world in March, an occasion he used to call on the president not to cut the Environmental Protection Agency budget for the Great Lakes. "To endanger the environmental progress made over 30, 40 years, rolling those dollars back, I think they'll face a fight, but that fight will come at the expense of both our recreation and more importantly our public health and environmental quality and sustainability of Lake Michigan and all the other Great Lakes," he said then. That news conference also was noteworthy for Emanuel recalling that in his youth "dead fish just rolled in" on Chicago beaches before cleanup efforts. It’s all part of Emanuel’s broader effort to stand at the forefront of mayors mounting high-profile challenges to the Trump administration. Emanuel has ceaselessly hammered Trump as against immigrants while promoting Chicago at every opportunity as a city that will welcome and protect them. In one case, he sued the Trump Justice Department in federal court over immigration rules the administration wanted to tie to the issuance of public safety grants. Asked Tuesday at the news conference about the climate charter, Emanuel immediately pivoted to point out the lack of leadership from Trump “across a waterfront of issues,” and brought up the immigration lawsuit. The anti-Trump stances also fit into the mayor’s long-standing position that we are living in “the century of the city.” It’s a slogan he sometimes applies when discussing the ways municipal governments can continue to get things done for the betterment of residents in spite of gridlock at the federal and state levels. Obama warns the "climate is changing faster than our efforts to address it"
Former President Obama on Tuesday warned that the climate is "changing faster than our efforts to address it," and while he derided the Trump administration for pulling out of the Paris climate accords, he said it's ultimately up to every individual to tackle the issue. 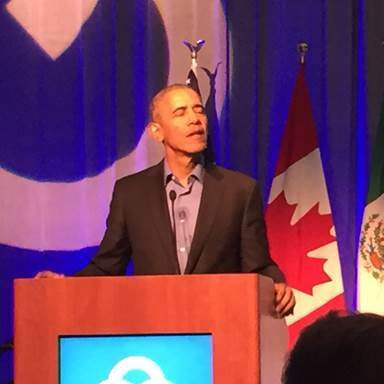 Speaking in Chicago to mayors at a climate summit, the former president noted the "conveyor belt" of hurricanes this year and western cities dealing with "longer and harsher" wildfire seasons. "Climate is changing faster than our efforts to address it," said Obama, who noted that his administration's effort to deal with the issue "wasn't because of some ideological notions about the environment." "It was a very practical understanding, based on the science, that if we did not get this issue right, then just about every other issue would be adversely affected." Obama ratified the Paris agreement in 2015, and President Trump said in June that the U.S. would pull out of it. Syria recently said that it planned to join the accord, making the U.S. the only nation in the world that doesn't belong to it, which Obama said is a "difficult position to defend." "[The] good news is the Paris agreement -- it was never going to solve the climate crisis on its own," he said, adding it was going to be "up to all of us." The former president said that climate change should be an "obsession" for Americans and having a plan to address it, he said, should be a "prerequisite" for anyone running for office. He also warned about people listening to news that doesn't come from a neutral source. "We live in a time when everything is contested -- and so often because of the splintering of our media, it is possible to only occupy a world in which the facts that come in conform to your pre-existing conceptions," he said. "And that's a challenge particularly for democracies." Obama said that as people get older, you become more aware of your mortality and want to make sure that "your kids and their kids are going to be OK."
While he said that people can't protect their children and grandchildren from heartbreak or mistakes in life, "this is something we can do something about." 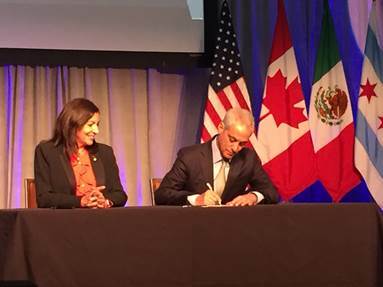 Chicago Mayor Rahm Emanuel and a number of other mayors have signed onto the Chicago Climate Charter, committing to reduce emissions.